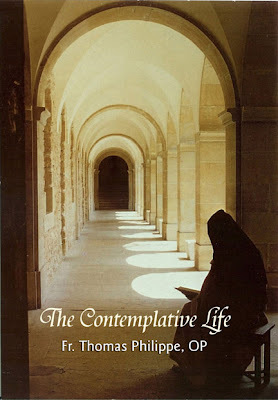 "The Contemplative Life" and "Fast-Knit to Christ" Now Available!! The sisters have been working hard this summer preparing two new books that are now available at our online gift shoppe! The Contemplative Life by Fr. Thomas Philippe, OP was first published in 1990. We feel privileged that we received permission from the editor, Fr. Edward D. O'Connor, CSC to bring this beautiful treasure back in print! Originally given as retreat conferences to the Dominican Nuns of a monastery in France, The Contemplative Life is nonetheless suitable for anyone who wishes to grow in their union with God. With an eloquent yet simple insight, Fr. Philippe reflects on the desire that God has for us to be intimate with Him and how we can grow in that friendship. Particularly striking is Fr. Philippe's insights into the role of Our Lady in the contemplative life and how she models this for us. 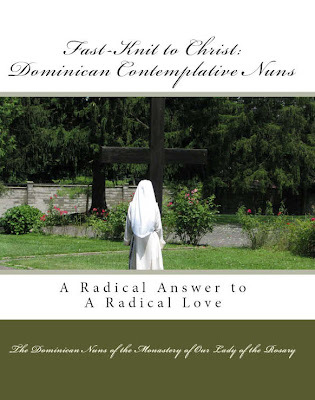 Fast-Knit to Christ: The Dominican Nuns grew and developed out of articles published in magazines and brochures printed for vocational discernment. In a large, magazine size (8 x 10) format (44 pages), and with more than 40 full color photos taken by the nuns themselves, six nuns from the monastery and 2 friars illustrate the joy and beauty of the contemplative life lived in the spirit and tradition of St. Dominic and particularly here at the Monastery of Our Lady of the Rosary. Publication for each book is scheduled for August 15th but you can pre-order either (or both!) books now and get a 10% discount! You can find more information by clicking on the links above. You can also take a look inside and read a few pages from each book! Fulfill Father, what you have said, and help us by your prayers!